The previous Cigar Prop was built by GoDaddy’s Site Builder. I rebuilt the entire site from scratch on WordPress and WooCommerce. 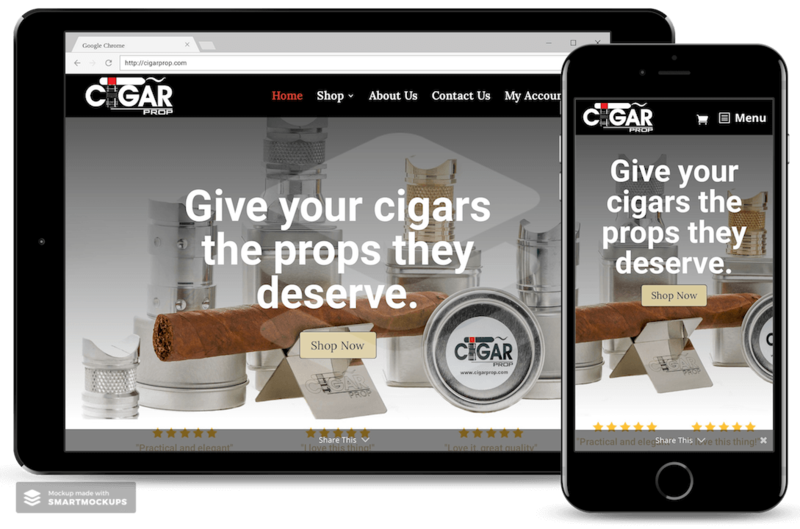 Cigar Prop is an online store. It includes the owner’s products and newsletter signup. I recorded custom videos for my client to teach him how to use WooCommerce and other WordPress features. It is imperative that online stores are as mobile friendly as possible. This includes looking good, as well as speed and functionality. With my help, the owner was able to get his site loading around 4 seconds to around 875 ms in some instances. That improvement is HUGE.